As a Senior Education Pioneer Fellow, Susan’s serves as the department liaison for broadband connectivity initiatives and digital citizenship, which includes cyberbullying. Susan also supports OET’s social media. Prior to joining the ED, Susan served as a K-12 technology director in Florida, where she facilitated best practices in IT operations and education technology implementations. Awards include being named to the Center for Digital Education’s 2015 list of “Top 30 Technologists, Transformers and Trailblazers,” the 2015 “Making it Happen” award from the Florida Society of Technology in Education, and the 2014 Bammy Award for School Technologist of the Year. She also co-founded and co-moderates the popular #edtechchat Twitter chat and is a passionate advocate for digital citizenship education. A former music teacher, Susan has degrees from Oberlin College, the Cleveland Institute of Music, and Eastern Florida State College. Charlene Blohm, President and CEO of C. Blohm & Associates, Inc. (CB&A) developed a passion for children and education early in her career. Charlene has spent more than 25 years in the communications and marketing fields promoting education and special needs, and is now one of the “go-to” people in the industry. Charlene’s biggest strength is her understanding of the bottom-line value in developing and implementing an integrated approach, yielding the highest return for marketing and public relations investments. Richard Culatta, chief executive officer, brings vast experience in education policy, teacher preparation, educational technology and innovation to his role with ISTE. Culatta is a longtime ISTE member and a past recipient of the ISTE Making IT Happen Award. Cynthia Curry is Senior Technical Assistance Specialist of the National Center on Accessible Educational Materials (AEM Center). 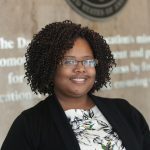 She works with stakeholders across preK-12, postsecondary education and workforce development to ensure that all learners have the same access to high quality accessible educational materials and technologies for learning. Through resource development, technical assistance and training, she leads stakeholders in building capacity to implement AEM. Cynthia was a practicing engineer for five years before pursuing her interest in science teaching, which sparked a passion for access to learning through technology. During her two-decade career in education, she has worked across K-12 schools, universities, non-profit organizations, and state agencies to improve outcomes for learners with disabilities. At the University of Southern Maine, she was a leader in three U.S. Department of Education funded projects to better prepare teachers to use technology to improve curriculum access by learners with disabilities. Additionally, she participated in two NSF-funded projects to increase the number of students with disabilities who pursue STEM in college and careers. For the Maine Department of Education, she delivered in-person and online professional development on teaching all learners in 1:1 computer classrooms across the state. Just prior to joining CAST, she was the coordinator of the Office for Students with Disabilities at the University of New England. Julia is the Title II, Part A (Teacher and Principal Quality) Program Supervisor at the Washington State Office of Superintendent of Public Instruction. Julia Fallon is also a technology and learning alchemist. She explores and interrogates the big ideas in K-12 education with tech integration – how to make sure all kids acquire the skills to participate in a digital society, and what is the collective and creative impact of thriving online communities. Involved with learning technologies since 1989, Julia is an avid proponent of dynamic 21st century learning experiences where highly effective instructional strategies integrate a wide range of digital technologies. As the state’s Technology Integration Program Manager, she streamlined strategic planning for districts moving large- and small-scale technology projects forward, championed robust PD programming for educators facing a brave new world of 1-to-1 initiatives, and spoken out for smart, flexible network policy that connects teachers and kids to a wider world of collaborative learning and dynamic scholarship. Christine is the Deputy Executive Director for SETDA. Christine’s tasks include member professional development planning and implementation, research, and report writing. 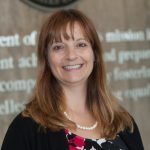 She manages the development of the annual SETDA national educational technology trends report, other SETDA research products and white papers, association professional development programs, and oversees all conference and event content. Christine Fox’s background includes experience in education and consulting. She worked as a 3rd grade teacher, ESOL coordinator, educational consultant and curriculum developer for a national whole school reform model. Christine has a Master’s degree in Teaching English as a Second Language from Florida International University and received her Bachelor’s degree in English Literature from Florida State University. Todd Lawrence is the Educational Technology Coordinator for the Idaho State Department of Education. His focus is on building an effective online education portal for parents and high school students, managing state and federal grants, and facilitates the Idaho 1×1 Pilot Project that launched in August 2013. After spending more than 15 years in the technology industry with Micron and HP, he decided to make a change to the education field, specifically to become a teacher. After teaching for 4 years and earning his Masters in Education degree, he somehow found his way back into the technology field while still making a difference for the students and teachers of Idaho. Sara leads the open education work for the Department, directs digital engagement for the Office of Educational Technology and leads the office’s efforts surrounding libraries and librarians. Sara joined the Department as a Presidential Management Fellow in 2014. While on rotation to the State Department, Sara supported the ECA Collaboratory’s work on open education, open government, and education diplomacy. Prior to joining the Department, she worked as a Learning Services Librarian and served as Teacher in Residence at the Library of Congress. A former teacher, Sara holds a B.A. from Clemson University, a graduate certificate from Duke University, and a Master’s in Library Science from University of North Carolina at Chapel Hill. Sara enjoys making salsa, digging in her backyard, and packing a tent when she travels. As a Senior Education Pioneer Fellow in the Office of Educational Technology, Angela leads the State Technical Assistance Future Ready initiatives, overseeing national and regional coalition partnerships, state and district growth and the development of toolkits, professional development modules, convenings, and case studies to support key stakeholders. Angela has twenty years of experience as a special educator specializing in emotional and learning differences, curriculum and program management for virtual schools supporting students with language-based learning differences, as well as development of synchronous and asynchronous professional development courses. Carla Wade is the Digital Learning Specialist for the Oregon Department of Education. Her experience in ranges from creating Zoo Education programs that grew 750% in the first year to managing curriculum and instruction (including Spaceflight Academy) at the Oregon Museum of Science and Industry before getting into the formal education arena.Carla is committed to providing quality education for students in an environment where they have access to tools, effective teachers and processes for learning that inspire them to develop college and career ready skills and a desire for life-long learning. She has managed federal grant programs including Title I-A, Title II-A, Title IID and the Technology Literacy Fund. She has authored and/or implemented successful grants including grants from Intel Education Foundation, federal ESEA programs, Meyer Memorial Trust, and the National Science Foundation. Carla has served on the boards of the International Society for Technology in Education (ISTE), the State Educational Technology Directors Association (SETDA) and the Oregon Science Teachers Association (OSTA). She has received recognition for her work in educational technology from the George Lucas Education Foundation, ISTE and SETDA where she won the 2010 State Leader of the Year Award. Mitch helps organizations succeed in the education market. Mitch cofounded Academic Business Advisors in 2005. One of the first ABA engagements was to design 30 courses for a new online high school now known as Penn Foster. As a partner at Academic Business Advisors, Mitch applies his knowledge and connections to help organizations align their products and services with the ways purchasing decisions are made in the education market so that they can scale and make a difference to kids and educators. In 2014, Mitch cofounded Edchat Interactive with Tom Whitby and Steve Anderson, a service to share best practices among educators through live online interactive events. Edchat Interactive provides a platform for thought leaders to highly engage with educators and administrators. In January 2015, Mitch cofounded the nonprofit Games4Ed with Larry Cocco, to facilitate collaborations between educators, researchers, game developers, publishers and policy makers to further the use of games and other immersive strategies in schools. In 2015, Mitch helped ThinkZone Games win a Phase I grant from the US Department of Education to look at the practicality of developing a for-profit service to provide games to schools. In 2016, ThinkZone won the Reach Higher Career App Challenge from Michelle Obama. Mitch served on the Board of the Ed-Tech Industry Network (ETIN) of the SIIA from 2012-2016 and was cochair from 2015-2016. Two recent articles by Mitch are How Games Promote Learning in the Education Week blog, and The Psychology Behind Why Gaming Helps Students Learn in K-12 Tech Decisions. If you are at all interested in what Mitch did before 2005, buy him a glass of wine and ask. Joy Smiley Zabala is a leading expert on the use of assistive technology (AT) to improve education for people with disabilities. As a technologist, special educator, teacher trainer, and conference speaker, Dr. Zabala has earned international recognition for her work on AT and Universal Design for Learning (UDL). Dr. Zabala is Co-Director of the National Center on Accessible Educational Materials (AEM Center) and Director of Technical Assistance at CAST. She was previously the Director of Technical Assistance for the AIM Consortium (2007-2009) and the National Center on Accessible Instructional Materials (2009-2014). Dr. Zabala developed the SETT Framework, a model that is widely-used by families and educators for collaborative decision-making in all phases of assistive technology service design and delivery. She is also a founding member of the QIAT Community, a co-author of the Quality Indicators for Assistive Technology, and Education Program Chair for the international conference of the Assistive Technology Industry Association. She serves on the faculty of the Center on Technology and Disability, the editorial board of the Assistive Technology Outcomes and Benefits (ATOB) Journal, and the advisory board of the National Accessible Materials Access Center (NIMAC).